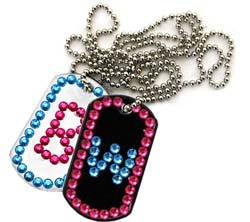 Created to show-off your identity, these Dog Tags have more than your name, rank and serial number. 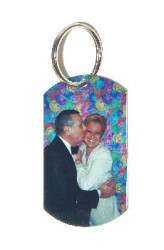 Our photographer takes an awesome photo of you and a significant other and permanently binds it onto a stylish dog tag complete with a chain necklace. 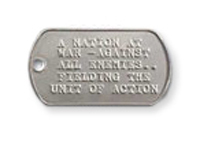 On the reverse side of the dog tag is a full color logo of your special event.